Wednesday November 1, 1939. “Cleaned! Went to the park and Clement Street. Read at night. Marc, Rose, and Duke phoned. Tony called this AM -going to Lunt + Fontanne – Taming of the Shrew (Preview). 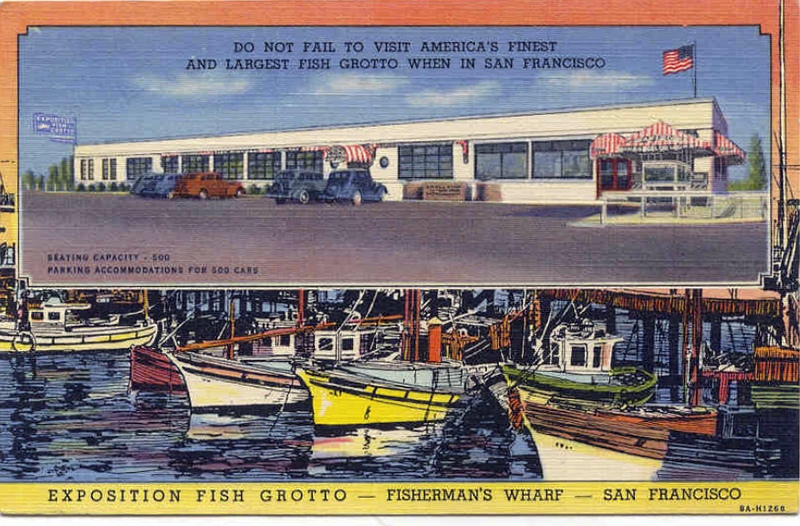 Number 9 Fisherman’s Grotto was typically referred to in 1939 as “The Grotto.” It was built on stall number 9 at Fisherman’s Wharf in 1935. 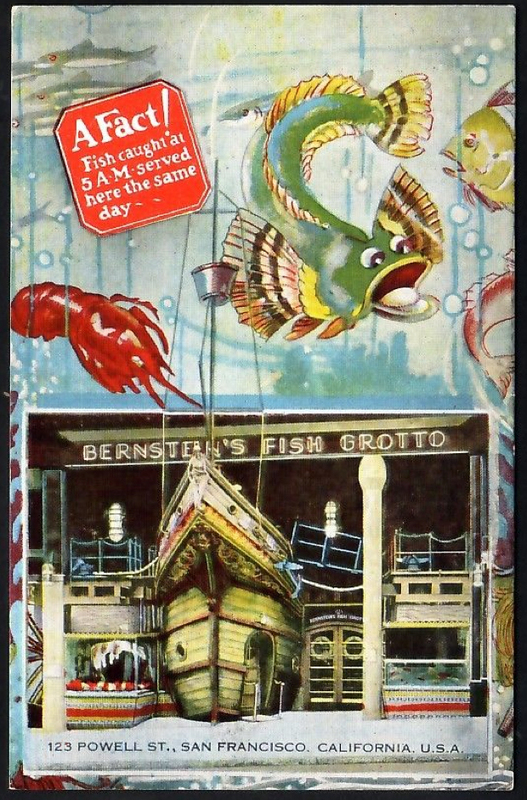 But there was also Bernstein’s Fish Grotto, dating back to 1880. 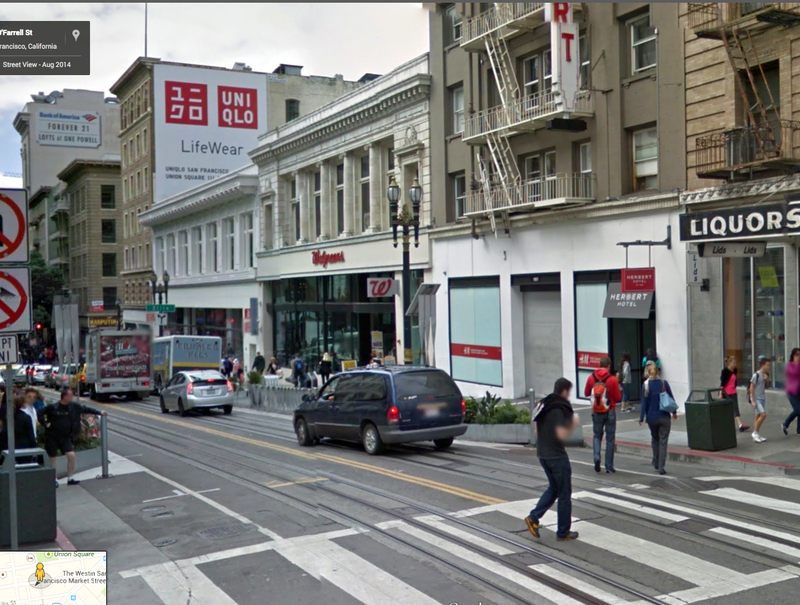 It was at this location, 123 Powell Street, since 1911. Its street-front replica of the bow of a ship was added in 1930. Fun! But sadly it all came to an end in June of 1981. No fun ship bows located there now. Saturday November 4, 1939. “Jeanne and IÂ downtown in the morning. Met Sam at noon. Ate at Jacopetto’s. At nite Jeanne and Duke to the theatre. Sam and I to Filmore Street. It was interesting. 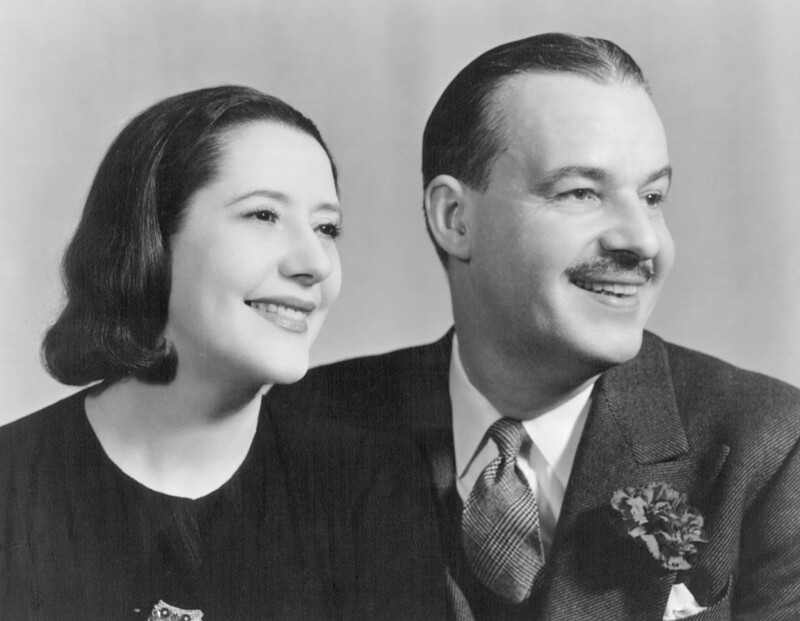 Sunday November 5, 1939. “A Grand Day. Sam and I walked through the park to the beach, and along the beach, and then back. Tony phoned, also Ted! Jeanne and Duke went to a show. Sam and I stayed home. Read and Radio. In view here on the left is Playland. 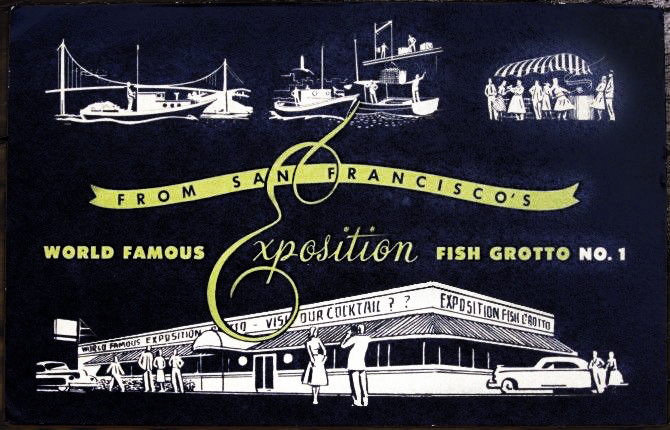 It was a 10-acre seaside amusement park located next to Ocean Beach, in the Richmond District at the western edge of San Francisco along Great Highway where Cabrillo and Balboa streets are now. 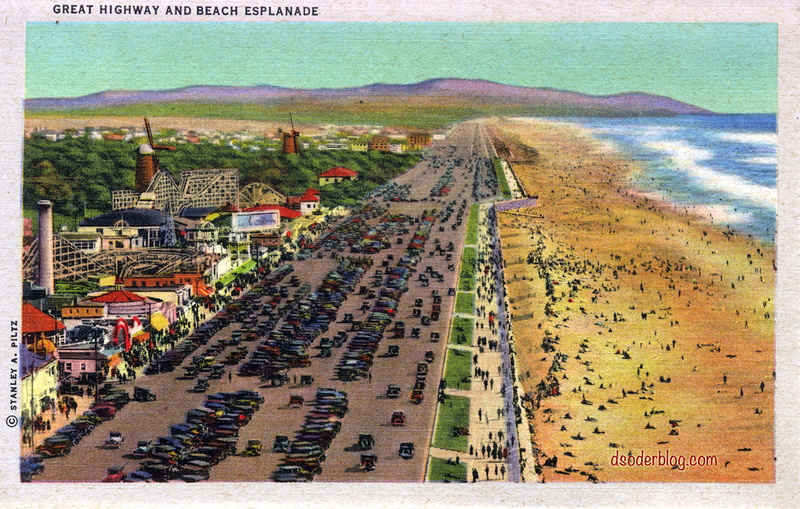 It began as a collection of amusement rides and concessions in the late 19th century and was known as Chutes At The Beach as early as 1913. It closed Labor Day weekend in 1972. 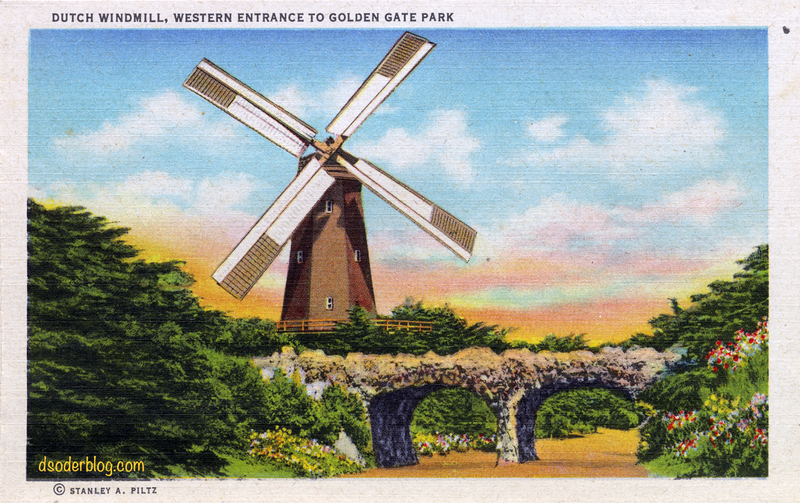 Condos are there now.Â Beyond that are the windmills marking the Western entrance to Golden Gate Park. Monday November 6, 1939 “Up early to town – paid electric bill and window shopped. Bought gloves and writing paper. Walked in the park. Nite – wrote to B. and Irene. Radio and read. Tony phone about card from Humberto. Tuesday November 7, 1939 “Up early and voted in S.F. for the 1st time – machines. Took Sam to work. Went home and walked in the par. Afternoon Jap washed windows. Jeanne and I picked Sam up at 5:15. Up to 11:30 for election returns. Rossi re elected. Ham and Eggs beaten. Also number 5 – oil – defeated. Angelo Joseph Rossi (January 22, 1878 â€“ April 5, 1948) was the 31st mayor of San Francisco. He was the first mayor of 100% Italian descent of a major U.S. city (top 10 most populous U.S. cities between 1776 and 1931). 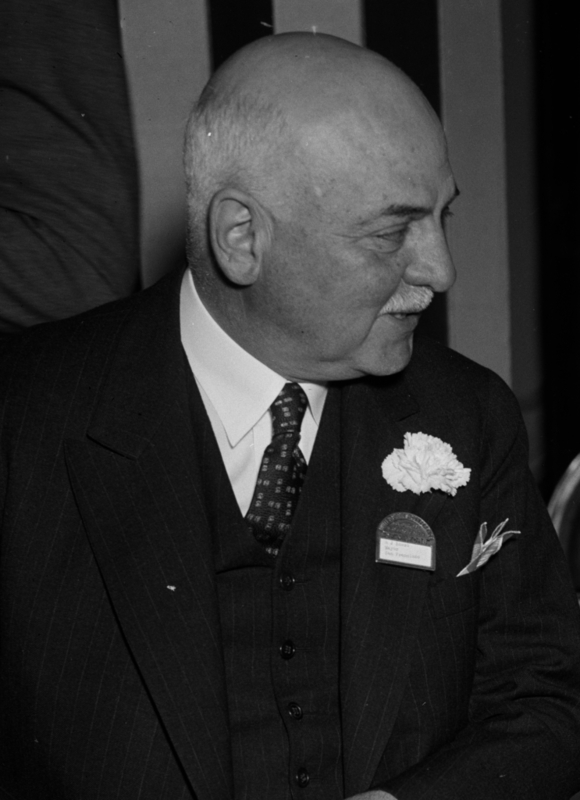 Rossi served as San Francisco’s mayor from 1931 to 1944. 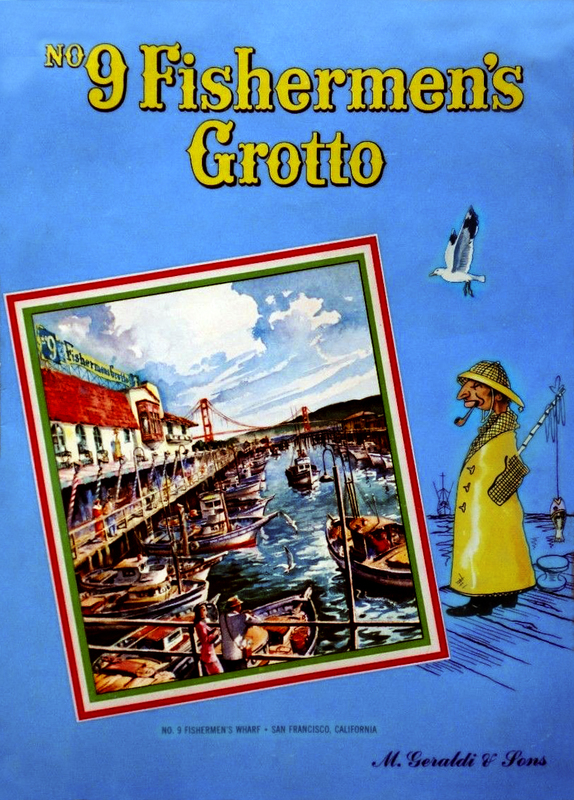 He was mayor when the Golden Gate Bridge and the San Francisco â€“ Oakland Bay Bridge were built, and he presided over the building of Treasure Island and the Golden Gate International Exposition (World’s Fair) of 1939. Under his administration, the city resisted compliance with the Raker Act which required San Francisco to sell power from the Hetch Hetchy Reservoir in Yosemite to municipalities or municipal water districts, and not to any corporations, a condition of use of the Hetch Hetchy Valley. He dedicated the Mount Davidson Cross in March, 1934. Though a Republican he was a strong proponent of the New Deal “alphabet-soup” roster of work programs and worked vigorously and constantly with Washington to bring as many dollars to the City as possible in order to create jobs and improve the City’s infrastructure. Being unfriendly to the Labor movement, Husseys most certainly voted against him. “The Great Depression of the 1930s brought economic distress to many Americans. Although poverty was widespread, the elderly suffered more than any other segment of the population. Faced with a real threat of hunger, many Americans looked to government to provide them some form of financial assistance. In response to this critical need, various special programs were proposed. The federal government’s New Deal initiative created the Social Security system in 1935. In California the most prominent pension schemes were Upton Sinclair’s End Poverty in California (EPIC) campaign, the Townsend Movement (named for its architect, Dr. Francis E. Townsend), and the Ham and Eggs or 30-Thursday crusade, which proposed a $30 weekly pension for every resident fifty years of age and older.